Tom F. Twain: Bohemian, Writer, Comicist, and Fisherman. I was born on a farm not far from the Texas/Louisiana border. I loved the country, but not farming. I didn't know where I belonged but I knew it sure wasn't there. I liked John Lennon and not John Crow you might say. The day after I graduated from high school I hit the road. I've seen a lot of things, and done a lot of things. 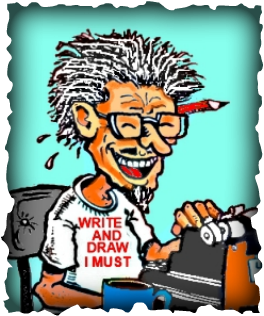 I used my self-taught skills as a writer and cartoonist to survive over the years. I wrote and cartooned under many names--and never became wealthy or well known under any of them. I moved back to the country near Ponta, Texas when I retired from active drudgery. I like hearing a whippoorwill calling in Mud Creek Bottom of an evening even after all these years. Free time and the advent of ebooks has presented me with a new opportunity to publish the satirical creations rejected by the mainstream press. Now I can publish what I want, when I want. My cousin gave me his old computer, and I'm learning how to use it instead of my old Underwood. 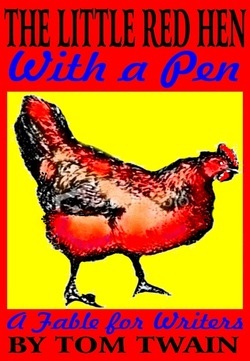 Click on the book covers below to eyeball one my satires. They're inexpensive, you can sample them before you buy, and the dang things are funny if I do say so myself. I'll also be posting some of my comic art in the future, along with some of my brain burps. Remember what Johnny L. said: "Life is what happens while you're making plans." Peace, and onward through the fog! A good natured send up of modern Churchianity in prose and cartoons in a catalog format. I'm sure your church doesn't need any of these products, but send a copy of this catalog to that worldly church down the street. 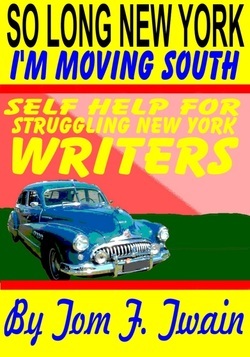 Self help for struggling New York writers as told by a guy who has been there. Hear the writer formerly known as Vinnie Dubinski tell step by step how he moved South and saved his writing career. What happens when you give a redneck a moonpie to at the trailer park? Lots of things happen....all of them funny. Tom Twain tell the funny tale of how he got skinned by a wiley used car salesman in a small East Texas town. This satire on Southern stereotypes and old time mail order catalogs is a riot. As Alvin's motto says: "Everything a Good Ole Boy needs to hunt, fish, fight and drink." We realize that you couldn't possibly be a redneck, but that brother-in-law of yours sure needs this catalog. This little satire should be read by every writer before he/she ever puts pen to paper--or contract. Humor that teaches and will make you laugh out loud. Especially if you are a grizzled writer like Tom Twain. Every writer needs to have a copy of this version of The Twelve Days of Christmas written just for you.